Planning a Walt Disney World vacation is serious business! It is amazing to learn about the different things that guests will do to in order to get a leg up on booking dining, FastPass+ and more. We have learned one of the tricks that some guests were doing that Disney is going to put a stop to. There are guests that would book a resort package at Walt Disney World in order to use the 60 day window to make their FastPass+ selections. The policy is that resort guests get to make selections at 60 days and all other guests get to make their selections at 30 days in advance. These guests would book their resort package, make their FastPass+ selections and then cancel the resort reservation. This would allow them to keep their FastPass+ selections but then stay somewhere off property. There was previously nothing in place to cancel these selections or stop this from happening. We have learned that Disney will be fixing this in February. 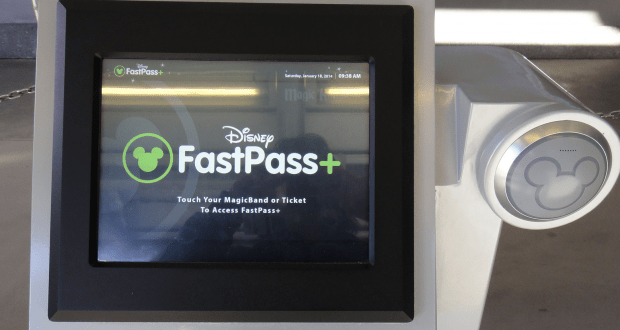 Now Disney will automatically be cancelling FastPass+ reservations when resort stays are cancelled. Guests would have to re-book their FastPass+ selections in their appropriate 30 day window since the selections they made would be cancelled. Apparently this abuse of the resort booking for FastPass+ was happening more frequently than we might think, causing Disney to take action. This action is being put in place to help preserve this bonus perk for guests who actually intend to stay at Walt Disney World and enjoy the many perks that are offered for doing so. What do you think of this new policy change?